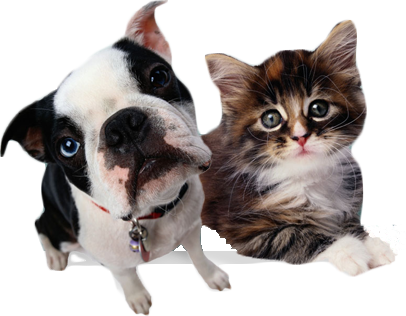 ​One of the primary causes of these problems is gum disease, which develops from bacteria-harbouring plaque and tartar accumulating on your pets’ teeth. This can cause pain, bleeding gums and potential tooth loss. The bacteria can also enter the blood stream and cause damage to their internal organs, which untreated can lead to organ failure and eventually death. Research has shown that dental disease is the primary health concern for cats, with around 70% of felines aged over 3 experiencing some form of dental problem. Between the age of 4 and 6 months, kittens lose their baby teeth and develop their permanent ones. 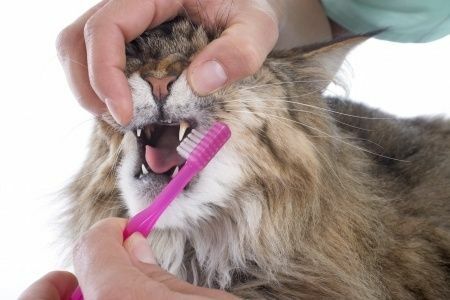 Once the permanent ones are present your cat should have around 30 teeth. Dog dental care is extremely important. Most adult dogs will have 42 teeth by the time they are 7 or 8 months old but many show signs of gum disease by the time they are 4 years old due to a lack of proper cleaning. Many times, different breed types can be more susceptible to dental issues because of teeth crowding and smaller mouths. Dental care and teeth brushing can be even more important in these cases.